Dirk was born february ’80, his interest in aviation was already triggered at very young age because of living in the landing of Kleine-Brogel airbase.The first airshow he went was at Kleine-brogel in 1993, after several years he bought a first compact camera. Very fast after he discovered digitaly photography he wants better quality pictures and he bought his first DSLR Canon camera and until now he uses Canon. Through the years he travelled around europe for all different excercises and airshows. 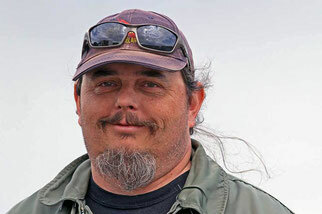 Laurent Heyligen (48) has an interest in aviation for more than 35 Years. 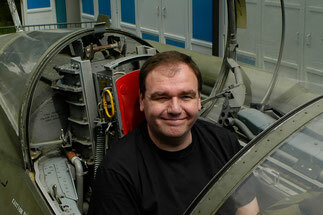 His main interest is military aviation in general, but with a special focus on the history of the Belgian Air Force. 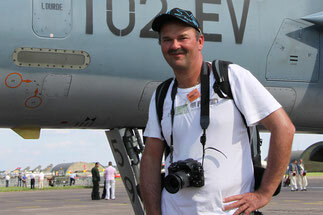 Over the years he attended and photographed many airshows and spotterdays in Belgium and the rest of Europe. In between airshows, he is a regular visitor of military aviation museums all across Europe, which he also documents with his camera. By doing so he has gathered a vast collection of pictures that covers the history of military aviation in Europe. Tim was born in January ’90. His interest in aviation was already created on a young age because he lives between the military airbase of Kleine Brogel and the small airfield of Sanicole. From a young age he attended the airshow at Sanicole but taking pictures of aircraft only started in 2007 when he bought a simple compact camera. Not long after he started taking pictures he discovered that he wanted a better camera so in 2008 he bought his first DSLR-camera. The brand he chose was Canon and he’s still using it at the present. He’s mainly interested in military aviation. Andy was born in ’79. His occupation is Warehouse-Operator. His interest in airshows also started from a young age. He was 10 years when he went to his first airshow. This was the Sanicole airshow. His grandparents lived in Leopoldsburg which is near the airfield of Sanicole, where the airshow is held. But aviation photography started at a later age. He started taking pictures from airplanes in 2009 when the Tiger Meet at Kleine Brogel was held. For making pictures he uses Nikon material and he’s really content about this brand. Lien was born in march '92. Her Interest in aviation was triggered because of the serie "Windkracht 10", a serie that goes over SAR operations in Belgium. The first airshow she went to was Coxyde 2005. In 2008 she bought her first DSLR camera, a Nikon and she's still using this brand for making pictures. 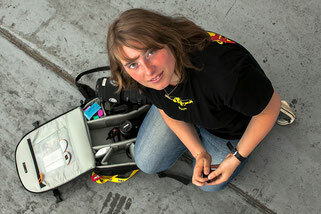 Her favourite part of aviation photography is helicopters, mainly Sea Kings. Ludo’s first interest in aviation started way back in the dark ages visiting airshows, when a lot younger in age. Yep he has known the slides era! Affer switching to the digital age in 2001 it evolved to a more keen interest in aviation museums. Especially taking detail shots of the airframes on display. He started using Canon and is still a avid user of this brand. Since a few years he got more en more interested in the spotting scene. His interest in all things flying brought him all over the world. And stil many things to see and do. Born in the late 60ties Edwin grew up with the noise from howling F-104 ‘Starfighters’ from the nearby 10th Jachtbommenwerpers Wing. He spend a lot of time at the local base, but after getting a driving license he travelled around to see and enjoy the action from Military aircraft. Highlight during the years were the several spotting trips to former East Germany to see the Russians Stars flying. Alain Meykens saw the first light in 1968. He was caught at an early age with the aviation virus as his grandmother lived next to Kiewit airfield near to Hasselt, Belgium. He attented his first military airshow in 1986 at Kleine Brogel, but without a camera. Photography started in 1989 with his first camera a Praktica. Later he swapped the Praktica for a Minolta and now a Sony. Alain is married and has two children. Professionally he is active in the aviation industry as a Tape Layer Operator at SABCA Limburg, a company who amongst others produced complex composite structures. 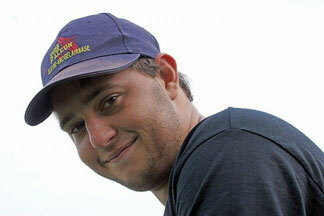 Levie Meykens was born in 1994 and has followed his father is his footsteps as a plane spotter from who he picked up the spottervirus. His first spotting experiences were at Kleine Brogel airbase and in recent years he has been following both military and civilian aircraft. 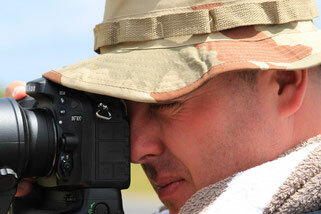 He also uses Sony equipment, a Sony A700 being his current camera with a 70-400 mm objective.